The big passive players had a huge January, but so did TIAA. Last week Chicago-based investment research specialist Morningstar released its "Morningstar Direct Asset Flows Commentary: United States" report for January 2017. 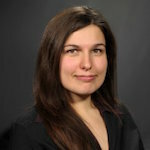 Alina Lamy, senior analyst of quantitative research, penned the report. Please note that the unabridged report, including the appendix with the chart covering the 50 biggest mutual fund firms, are now only accessible to Morningstar Direct users. January was another good month for Vanguard [profile]. M* estimates that the low-cost mutual fund titan brought in a whopping $45.98 billion in net inflows last month. The other top-five inflow winners were: BlackRock [profile], including iShares [profile], $14.916 billion; DFA [profile], $3.56 billion; Invesco [profile], including PowerShares [profile], $2.436 billion; and Schwab [profile], $2.432 billion. On a relative basis, Schwab won the month, bringing in flows amounting to 1.9456 percent of its AUM. The other top-five inflow winners, as a percentage of AUM, were: Vanguard, 1.31 percent; TIAA, including Nuveen, 1.218 percent; BlackRock, 1.203 percent; and DFA, 1.092 percent. On the flip side, Fidelity [profile] saw the biggest net outflows in January. M* estimates that $4.833 billion net flowed out of the Boston Behemoth's mutual funds last month. The other biggest sufferers were: Franklin Templeton [profile], $2.249 billion in net outflows; Wells Fargo [profile], $2.225 billion; GMO [profile], $1.6549 billion; and John Hancock [profile], $1.622 billion. On a relative basis, GMO was the biggest sufferer, with estimated net outflows amounting to 3.253 percent of its AUM. Other big outflow sufferers proportionately were: MainStay [profile], 2.68 percent; Wells Fargo, 2.418 percent; Hancock, 1.167 percent; and Harbor [profile], 1.097 percent. Across the industry $13.523 billion net flowed out of long-term, active mutual funds, M* estimates, and money market funds suffered $41.641 billion in net outflows. Yet passive mutual funds overwhelmed those outflow numbers, bringing in an estimated $76.982 billion in net inflows. Within long-term, active mutual funds, only two categories had net inflows. Taxable bond funds brought in $9.646 billion in net inflows, and muni bond funds brought in $3.837 billion. Active, long-term U.S. equity funds suffered an estimated $20.779 billion in net outflows. $2.28 billion net flowed out of allocation funds, $1.952 billion out of sector equity funds, $1.366 billion out of international equity funds, $566 million out of alternative funds, and $164 million out of commodities funds.